What if the most intriguing part of your iPhone wasn't the iPhone? Something magical happens when you apply old-world artisanship to modern-day technology. The outcome is something more beautiful, human and usable. We crafted Pad & Quill iPhone to work better for your device, and feel better in your life. Nowadays our iPhones get used on a daily basis more than our wallets. So why not combine the two into one magical, everything-you-need product? That is exactly what we were aiming for with our iPhone leather cases. One part wallet case, one part iPhone case, one part book case, and totally awesome. The result is a leather iPhone case that offers incredible protection along with a beautiful aesthetic that honors the true form and spirit of the iPhone. 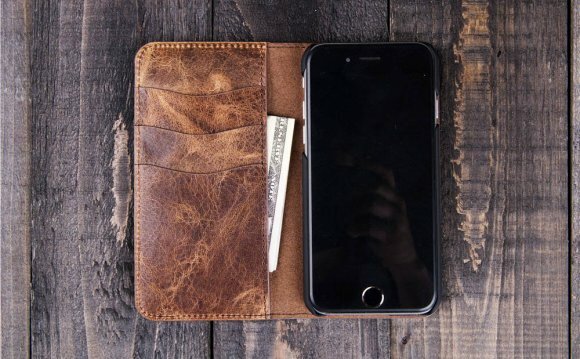 As an iPhone Wallet Case, you can use the interior pockets to house credit cards, money, IDs, or business cards. Your device sits safely suspended in a Baltic Birch frame or by our magical 3M materials, all the while wrapped in a stunning single piece of American full-grain leather that is so high quality we guarantee it for 25 years.